I’m getting tired of writing about grief and loss. My plan was to write my way through the first year without my mom. It’s not that I thought the feelings of loss would disappear or diminish after the one year marker had come and gone. I just didn’t want to dwell on them – for there is so much else going on! So much else to write about! Positive, beautiful stuff. There have been many moments in the past week when ordinary images have awakened me in some way. 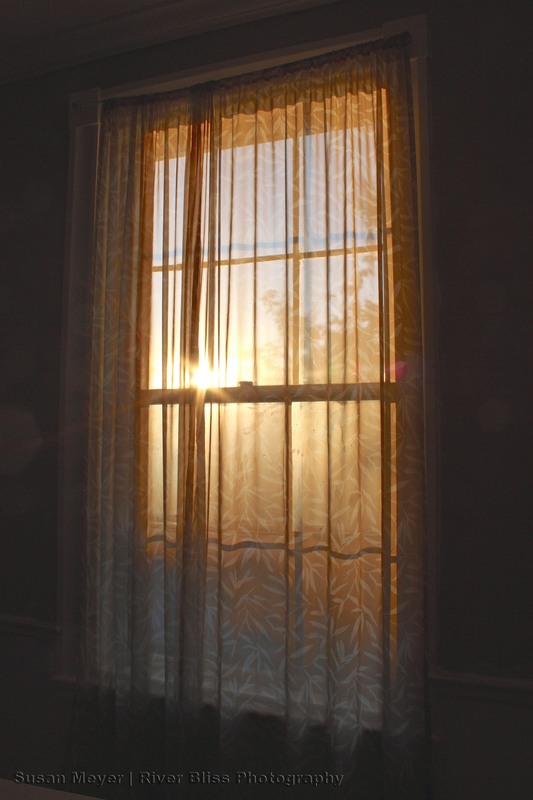 For example, waking up to the rising sun shining through the window filled me with gratitude and a simple prayer: May we rise in the morning fully aware of the value of the gift of this new day and resolve to bring our highest self into expression. In other words, may we wake up and shine! May the first thought we think when we wake up in the morning be positive and hopeful and set the tone for the day. On the creek yesterday afternoon, I was able to get closer than usual to a great blue heron and was impressed by the bird’s keen attention, which I interpreted as not thinking or planning but simply being fully present, and from that state of presence discerning where to be, what to do, and when to act. The heron reawakened me to the value of here-and-now presence. Opportunities to awaken and expand our consciousness surround us all the time, whether or not we notice them. It’s a matter of mindfulness and perception. I could write about either of the above images – or many others, as well. But this is an extraordinarily hectic time of year as I wrap up yet another school year and attend to a dizzying array of paperwork, meetings, and deadlines. There really isn’t much time to write during most of June, so I haven’t. Then along comes something that demands to be written, immediately – for last night, I dreamed of my mom. And it threw me. I barely had enough time to fall asleep before I dreamed that I walked out of the living room, and when I returned, my mom was sitting in the chair. Sometimes in dreams, it takes me a few moments to remember that she has died in waking life. But this time it was instant. I exclaimed, “Mommy!! It’s so good to see you!” (I haven’t called her “Mommy” since I was a young child.) Then I woke up. The dream only lasted for a few seconds, but it took my breath away. I felt a bit panicked and anxious upon waking and realizing acutely that I will never again experience that particular joy and comfort in this lifetime – for she is physically gone forever from my life. I’ve written previously about the waves of grief. When these waves hit, they hit hard. It feels like a wave crashing over me with such force that it knocks me over, and I lose my footing. I suppose I should just allow myself to float back up to the surface without so much resistance to “what is”. It’s a very unpleasant feeling. I believe it is also an invitation to go deeper and to get in touch with who I Am at the core. The totality of (my) consciousness, where I experience love through being the most loving person I can be, rather than depending on a certain person to fulfill certain emotional needs. It is so much more fulfilling to relate to others from the higher, infinite Self than from the lower, egoic self. The higher Self is like a sun that shines its light freely. It doesn’t need anything from another person in order to feel complete. It is free to appreciate and enjoy the other without any expectations, to be grateful for what was and what is. It is able to find beauty in the present rather than focus on what is missing. When we walk with presence and gratitude, we don’t worry about the future because we trust our footsteps and know we will be okay. In this manner, each step blesses and enriches our journey. I recently listened to an Enneagram presentation by Robert Holden and was struck by the notion that on a spiritual level, there is no such thing as a broken heart. Our expectations and hopes break, but not our heart. The essence of who we are can’t be broken because it is made of love. 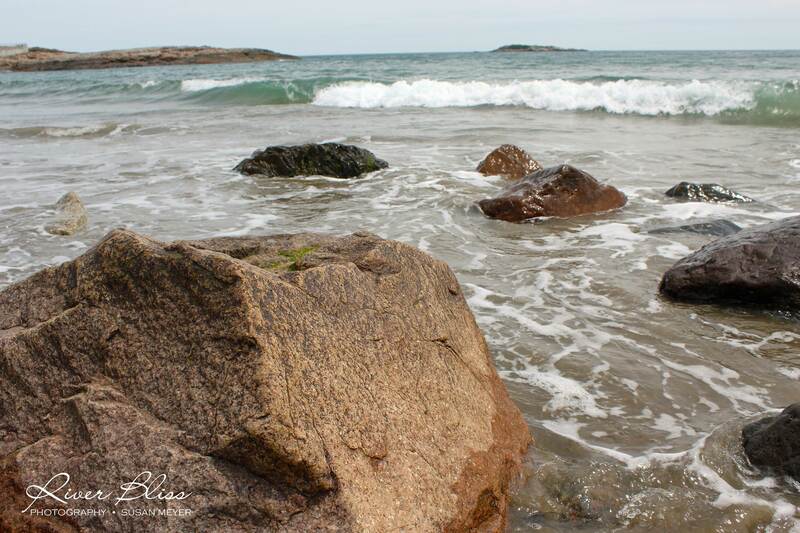 When the waves hit, it’s useful to remember who we are when we’re not suffering and to reconnect with the groundless being that can contain it all – the ocean, itself, which is so much greater than a single wave. There’s oh so much I wish I could talk about with my mom, but I won’t be able to, ever, in this lifetime – at least not in the way we were accustomed to communicating. It can be painful to awaken from a dream to the realization that I don’t have a mom anymore and will never experience the joy of seeing her in the same room as me. When I fall into ego and forget who I really am, it feels so lonely. And when it happens, it’s time to call upon the inner Mother and nurture the little egoic self with kindness and compassion. It is a call to be present to the beauty and goodness here and now rather than get lost in yearning for what is missing. To experience love by loving, rather than yearning for love. Generate it from within. Why do we characterize others with qualities that we think we don’t have in ourselves and therefore need from them, when who we really are contains the totality of consciousness? The solution is not to look to others for what they can give us – to fill our holes – but to expand our consciousness and cultivate those qualities in ourselves. And then we can REALLY love, from a source that is a blessing and not a burden for others. From where I am writing, I can see the river sparkling with sunlight. It’s time to engage with the splendor of this new day, one grateful footstep at a time.